Australia/Canberra: BIG W, a Bella Vista, New South Wales establishment, recalls certain batch/lots of SmarTrike Children’s Trike/Stroller products due to suspected failure to provide a parking brake, tether strap or relevant warnings as required by Australia’s mandatory regulation, ‘Consumer Product Safety Standard for Prams and Strollers (Consumer Protection Notice No 8 of 2007, as amended on 14 February 2019)’ and consequential risks of fall and injury, all serious health and safety hazards. Please consult the photograph above for details of the product’s design and retail presentation. 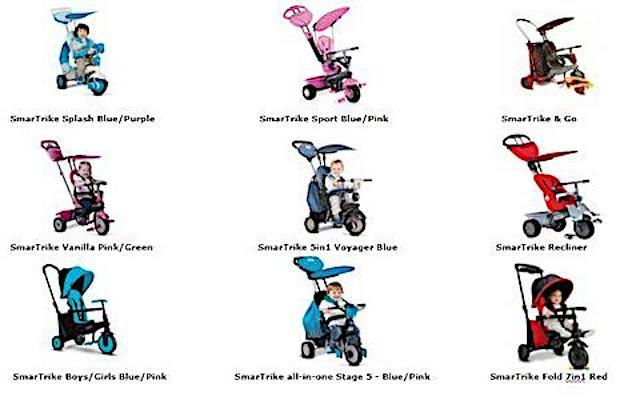 One (1) additional image of the recalled Children’s Trike/Stroller products can be found on the Web site above. According to the ACCC, these SmarTrike products have some of the features of a traditional Baby Stroller, but are unsafe for use for this purpose as they do not have a parking brake, tether strap or relevant warnings as required by Australian mandatory standard ‘Consumer Product Safety Standard for Prams and Strollers (Consumer Protection Notice No 8 of 2007, as amended on 14 February 2019)’. Consequently, using these products as a Baby Stroller may pose fall and injury risks to the child rider. When used as a stroller to transport children, the product may cause injury to a child if the product rolls in an uncontrolled manner or if the child falls out of the vehicle. If you believe you have purchased or have in your possession any of the recalled Children’s Trikes, please do not use them nor allow your child to ride or play with or near them. Instead, kindly return the product to the BIG W store where you purchased it for a full refund. ==> To see other recalls and notifications caused by suspected faulty and/or dangerous Children’s Trikes, please search for “bicycles” using the Search Box at the top of this page. If you have any questions about this recall notification, please contact Big W Customer Service on 1300 244 999 during normal business hours, Australian Standard Time, Monday to Friday. ==> To see other recalls and notifications relating to Infants and Children, please search for “children” using the Search Box at the top of this page. ==> To see other recalls and notifications concerning products that pose a Fall hazard, please search for “fall” using the Search Box at the top of this page. ==> To see other recalls and notifications relating to Injury hazard, please search for “injury” using the Search Box at the top of this page. ==> To see other recalls and notifications for products manufactured, marketed and/or sold by BIG W, please search for “BIG W” using the Search Box at the top of this page.